Here’s a checklist of factors you’ll want to consider before becoming an EV owner. 1. Is The Car’s Operating Range Sufficient? With the current generation of electric vehicles able to run for more than 200 miles on a charge, so-called range anxiety is less of a factor than it was a few years ago when EVs struggled to crack the 100-mile mark. Still, you’ll want to make sure a given model’s range is, at the least, sufficient for your daily commute and weekend activities. It pays to overestimate your needs with regard to an EV’s estimated range because your mileage, as they say, will vary. You’ll burn though more kilowatts of energy at highway speeds than you will around town, for example. You can also expect an EV’s range to suffer significantly in cold weather. Research conducted by the AAA found that when the mercury dips to 20°F and the vehicle’s heater is in use, an average EV’s range drops by 41 percent. Battery range suffers in the summer as well, dropping by an average 17 percent with the air conditioning running. 2. Does The Vehicle Otherwise Meet My Needs? As with any type of vehicle, you’ll want to do some research to ensure an electric car you’re considering is sufficiently roomy inside for you and your family. Make sure there’s enough cargo space for weekly shopping excursions, sports equipment, or strollers and other child-related gear. Choose a model that fits your budget and comes with all the features you require. And always give any vehicle you’re considering a thorough test drive to see if it drives to your liking, is comfortable, and you find its controls easy to operate. 3. Should I Lease Or Buy An EV? While new-vehicle leasing currently accounts for around 30 percent of all transactions, published reports suggest that close to 80 percent of all EVs are leased. Down payments and monthly outlays are usually lower than with conventional financing, and automakers often offer promotional lease deals with built-in cost reductions. 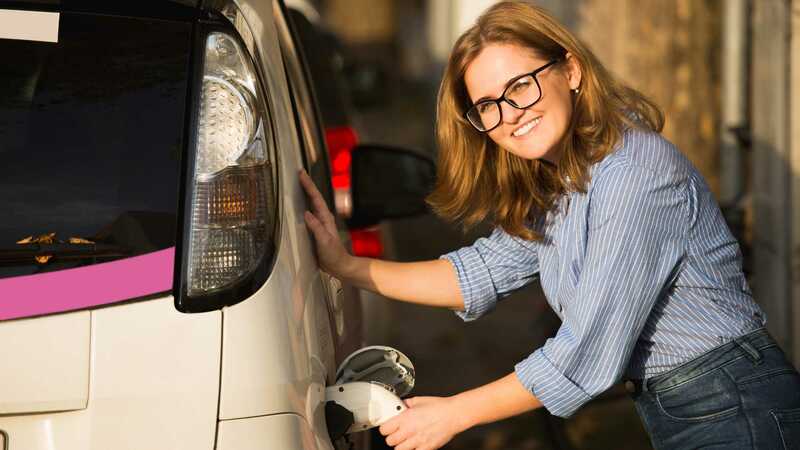 Leasing an electric vehicle for two or three years can help ensure you’ll keep up with the latest technology, particularly with regard to operating range. On the down side, leasing virtually guarantees you’ll be making a perpetual car payment. What’s more, you may encounter unexpected charges at the end of the lease if you exceed the stated mileage limit or turn in the vehicle is less than pristine condition. 4. Where And How Will I Charge The Vehicle? Though the number of public charging stations is growing, it’s far more convenient – not to mention cheaper – to juice up an EV at home. You can simply plug the vehicle into a standard 110-volt wall outlet for what’s called Level 1 charging, but it can take anywhere from eight to nearly 24 hours. A better choice would be to have an electrician install 240-volt service in your garage to accommodate Level 2 charging that can replenish a drained EV battery in as little as four hours. You don’t even technically need an enclosed garage, though if you’ll be plugging in an EV outdoors, you’ll likely need to purchase a specific charging unit for that purpose and have it professionally installed according to local building codes. 5. Are There Public Charging Stations Near Where I Live, Work Or Shop? Even if you’re buying one of the longer-range models on the market, there will be times when you’ll want to give your EV and extra jolt of volts away from home. Public chargers are typically installed in public parking garages, retail parking lots, at new-car dealerships, and even on some urban streets. 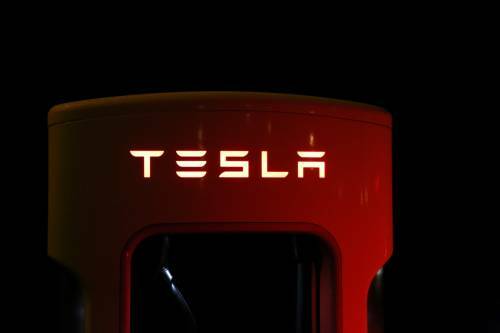 Tesla maintains its own network of Superchargers exclusively for their models. Chargers are most typically limited to urban and suburban areas having higher EV penetration, however. While most public units are of the Level 2 variety, some provide what’s called Level 3 charging. Also known as DC Fast Charging, it can bring a given EV’s battery up to 80 percent of its capacity in around 30-60 minutes. A number of websites including PlugShare.com and PlugInAmerica.org, as well as apps from charging-networks like ChargePoint and EVgo feature interactive maps that show the locations of public charging stations, what type of charging they support, and even whether or not they’re currently in use. 6. What Incentives Can I Take Advantage Of To Help Offset An EV’s Cost? The federal government gives buyers of new EVs a one-time $7,500 tax credit; if you’re leasing an EV, the tax break is usually applied to the transaction price to lower the monthly payments. However, the credits phase out in two steps for each automaker during the year after it sells 200,000 EVs and/or plug-in hybrids. Tesla was the first manufacturer to hit that mark last year, which means its federal tax break dropped to $3,750 on January 1, will fall to $1,875 on July 1, and will expire altogether on December 31. General Motors also reached 200,000 EV sales last year, and EV credits on the Chevrolet Volt and Bolt EV began to phase out beginning on April 1. A number of states and cities offer their own incentives to EV buyers. They usually take the form of either a tax credit or a cash rebate, with some areas also offering financial assistance to have a home charging unit installed. Provisions and exclusions are plentiful among EV incentive programs, so be sure to wade through the details via your state’s Internet portal to see what’s being offered where you live. 7. How Long Do I Expect To Own An EV? Those looking to forge a long-term relationship with an electric car may be concerned about what it would cost to eventually replace the battery pack. Fortunately, federal regulations mandate that an EV’s power cells be covered under warranty for at least eight years or 100,000 miles. For its part, Hyundai extends this to lifetime coverage on the Kona Electric. However, some automakers only cover an EV’s battery pack against total failure, while others, including BMW, Chevrolet, Nissan, Tesla (Model 3) and Volkswagen will replace it if it reaches a specified reduced capacity percentage, which is usually 60%-70%, while under warranty. Assuming you own a given EV to the point that that battery needs replacing, it’s not a cheap component to swap out. We’ve seen figures quoted anywhere from $5,000 to as much as $15,000 depending on the model, and that doesn’t include the cost of labor. An EV battery will degrade over time, but so far we’ve not seen widespread reports of earlier-generation EVs needing new power cells. With proper care the battery is essentially a life-of-the-vehicle component. 8. What Does It Cost To Insure An Electric Car? Insurance costs for EVs tend to be costlier than the norm. One source pegs the premiums at 21 percent higher, on average, than for comparable gas-powered models. That doesn’t mean they’re less safe or more accident-prone than other vehicle types. Rather, it’s because EVs are priced higher than conventional alternatives and generally cost more to repair after getting into a collision, especially because of their pricey battery packs. 9. Will I Still Need A Gas-Powered Ride As A Backup? Though it’s possible to take a longer-range EV out on an extended road trip with routes planned around the location of Level 3 charging stations, family car trips are stressful enough without having to endure range anxiety. If you frequently visit out-of-town friends and relatives, or otherwise travel beyond your car’s range, you’ll probably want to share garage space with a gas or hybrid-powered model. Or you can simply rent a conventional car or crossover when you want to venture beyond your comfort zone. Buying an electric car can be a costly proposition, with most mainstream branded models priced in the $30,000 range; luxury EVs are priced as steep as $100,000 for the top version of the Tesla Model S. Buying a new model assures you’re getting a full warranty and (depending on the model) the latest technology and longest operating range on a charge. With the exception of the Teslas and the Chevrolet Bolt EV, you’ll qualify for the full $7,500 federal tax credit and perhaps other state-specific incentives not granted to used-EV buyers. That said, you can save considerable money by instead choosing a pre-owned model, including any of those listed for sale here on MYEV.com. With some exceptions, most notably the Tesla models, older EVs take a hit in terms of their resale values, due largely to the aforementioned tax credit combined with relatively lower demand. Though they won’t necessarily have the operating range of some of the latest models, you can find four- or five-year-old EVs selling for $10,000 or less. What’s more, given their range limitations, used EVs tend to be driven fewer miles than the norm, and thus typically endure less wear and tear than the norm. 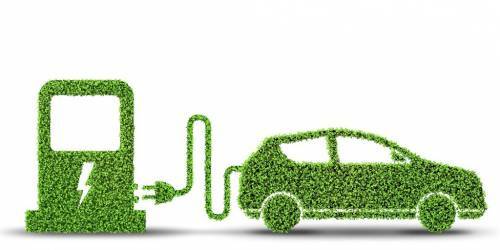 How And Where Can I Charge My Electric Vehicle? Which EV, either present or upcoming, are you most excited about? How Would You Buy Your New EV? How Do We Solve A Problem Of People Parking In Dedicated Charging Spots?